I’ve been in a slump lately with all the rain, plus I was pretty sick earlier this week. Finally pulled through and am so thrilled it’s Friday at long last. We drove over to Burger King to pick up dinner and celebrate the start of the weekend. When looking at the drive thru menu, we saw a giant display for the Froot Loops shake and knew it would be a perfect addition to our celebration. When ordering, we opted for the whipped cream. If I ever ordered this again, I’d opt for no whipped cream since it didn’t really enhance anything (only upped the sugar levels). Normally I link to the product’s landing page that contains additional nutritional info, but I’m not able to find anything on Burger King’s website. According to this Today article, it’s supposed to hit stores April 17. Hooray for getting to try this before the launch date! Hand-spun vanilla soft serve and Froot Loops cereal pieces topped with whipped cream (optional) for $2.99. It tasted like when you have a bowl of cereal and some of it starts to soften in the milk. Thought there might be some Froot Loops sprinkled on top, but there was only the whipped topping. We really enjoyed this shake, even it was such a sugar overload that we felt a little guilty. 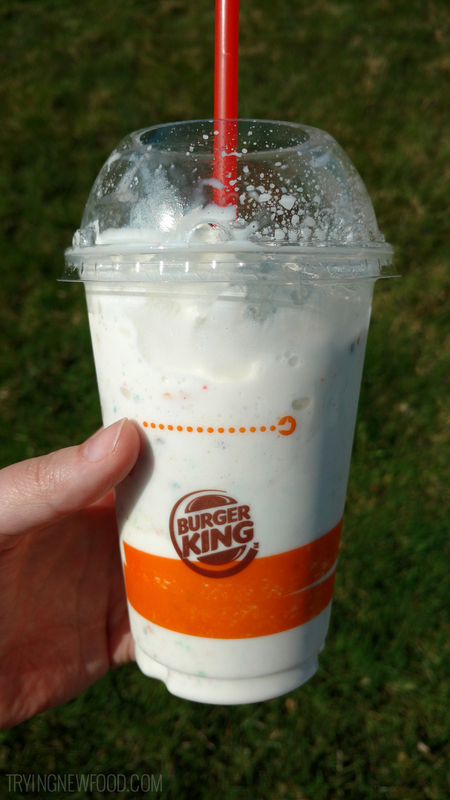 Not sure we’d buy the Burger King Froot Loops Shake again (sugar coma), but it’s a bunch of fun to eat and worth trying once, especially since it’s a limited time shake! 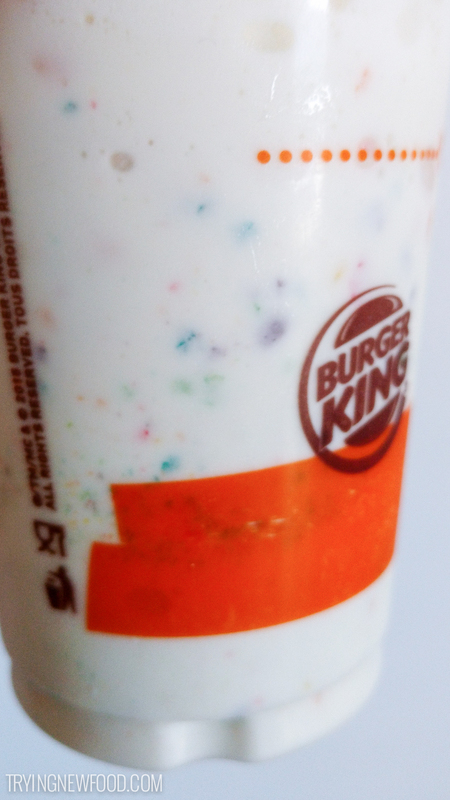 Have you spotted this shake at your local Burger King? Let us know what you think of it in the comments below!